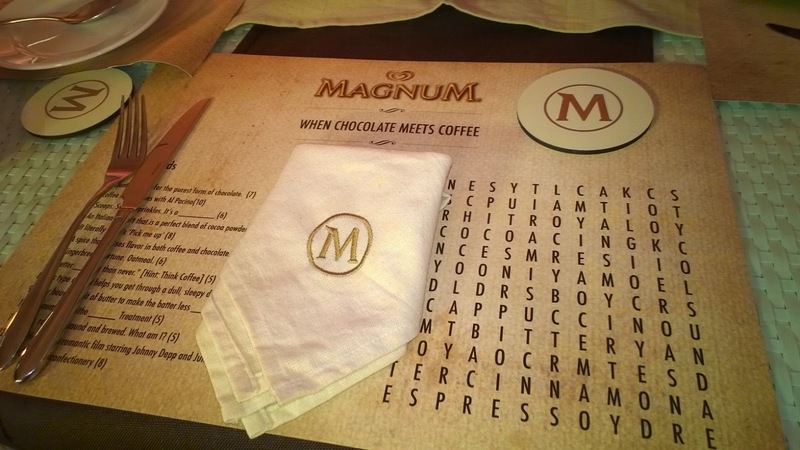 Who doesn't love chocolate and coffee? 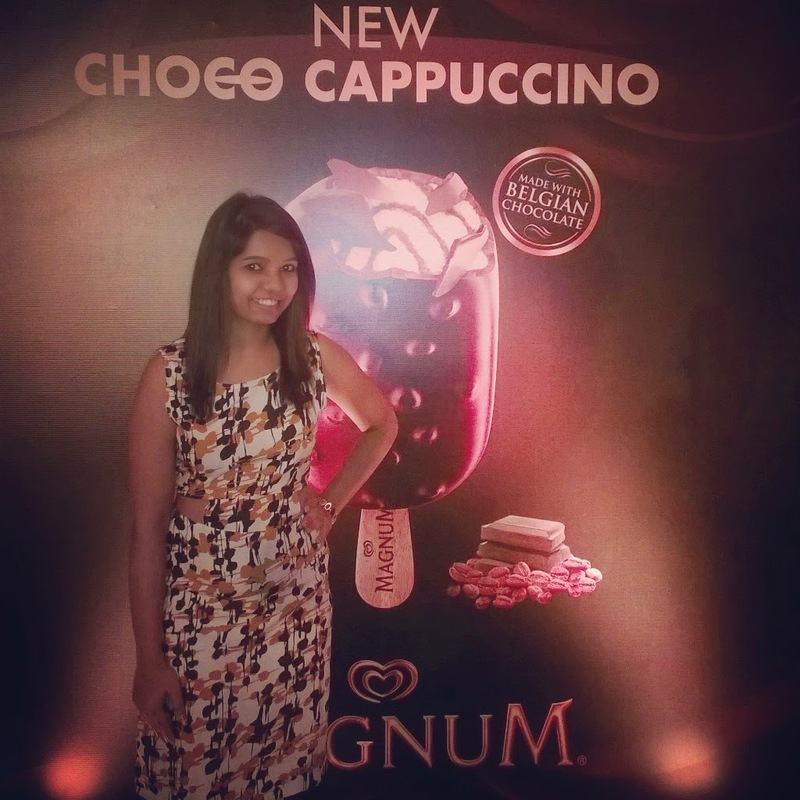 I do and my excitement was at its peak when I was invited for the Magnum's Choco Cappuccino launch. 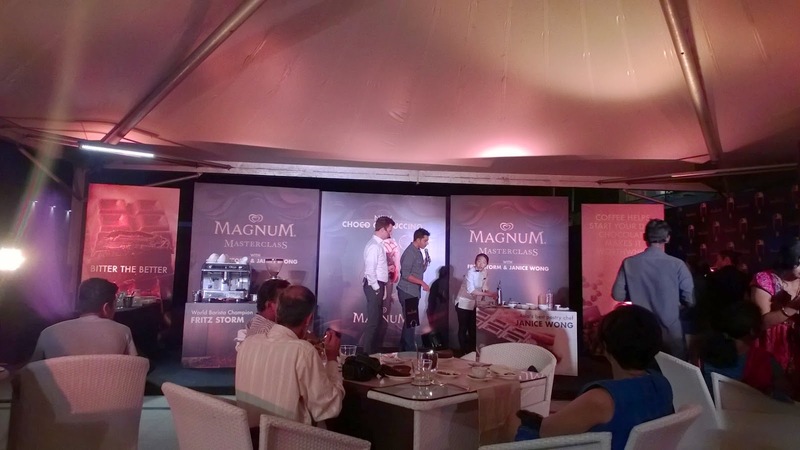 Last year I was part of the launch of Magnum ice cream with its three flavors and this was the forth one. I have many memories of chocolate and a sweet tooth for it too. I usually do not share my chocolates and one should be really special to be lucky to share my chocolate. 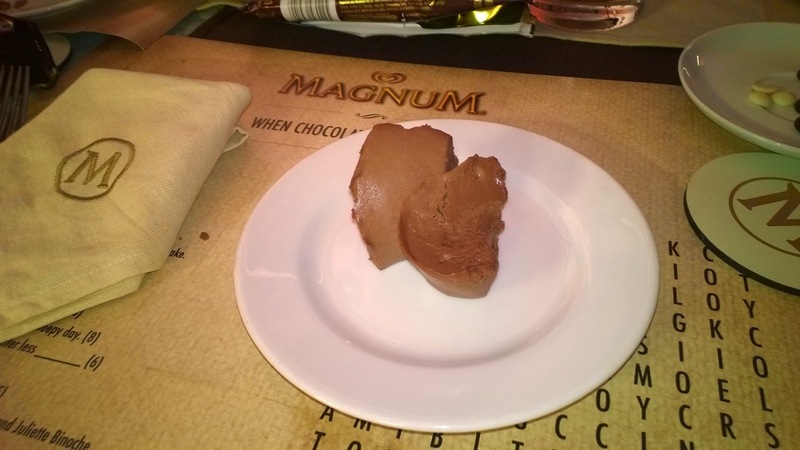 Another memory of chocolate I have is, whenever I am unwell, I need a chocolate and definitely one when I am getting an injection from the doctor else I will never get one done. With Coffee, I used to like very mild coffee's like a Latte in the initial but later developed a strong taste for coffee and now I cannot live without a cappuccino. Coffee shops have been my favorite place to hang out and my usual drink is a cappuccino. A lot of my conversations happen over a cappuccino. 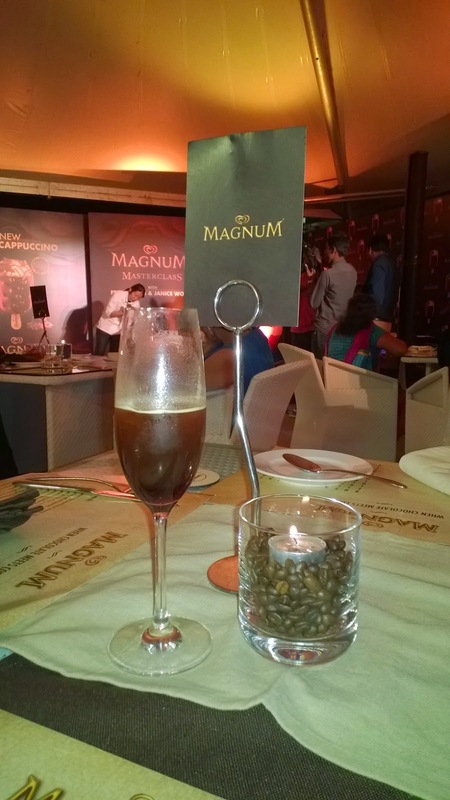 A blend of coffee and chocolate can be named a sinful blend. A blend of it remind me of Mocha. 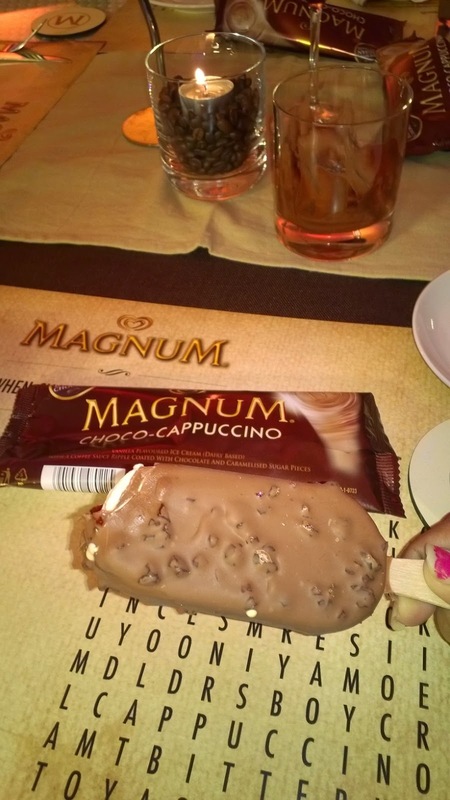 But I knew this was Magnum and the blend would be more than just Mocha. 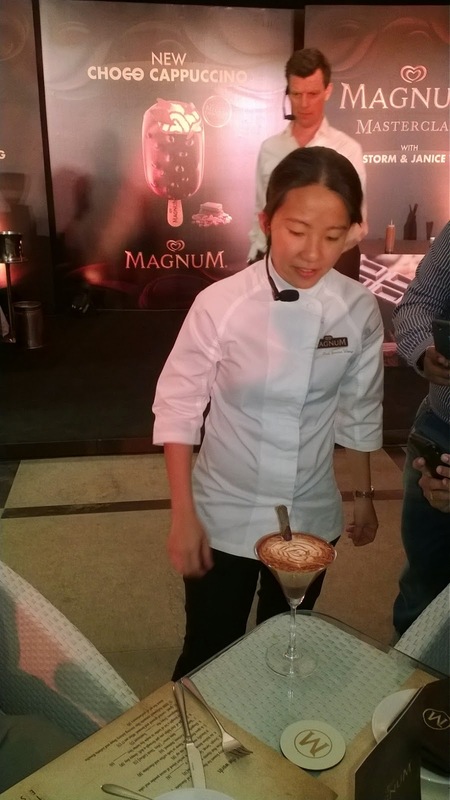 The launch of Magnum's new flavor was done by renowned Pastry Chef Janice Wong and World Barista Champion Fritz Storm at JW Marriott, Bangalore. 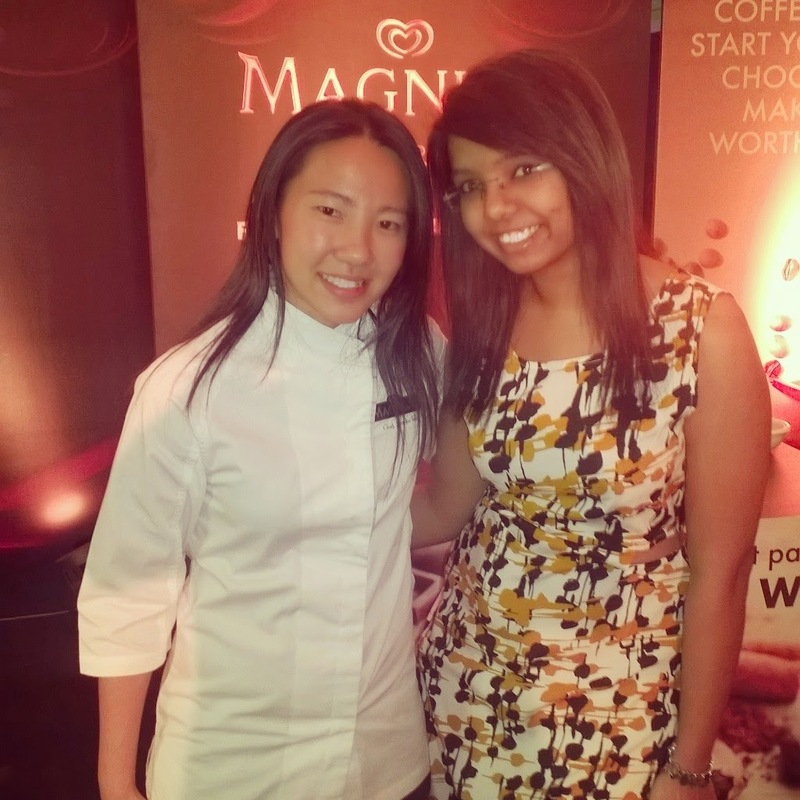 The Pastry Chef Janice Wong spoke about chocolate and prepared different mixes for all the guests. 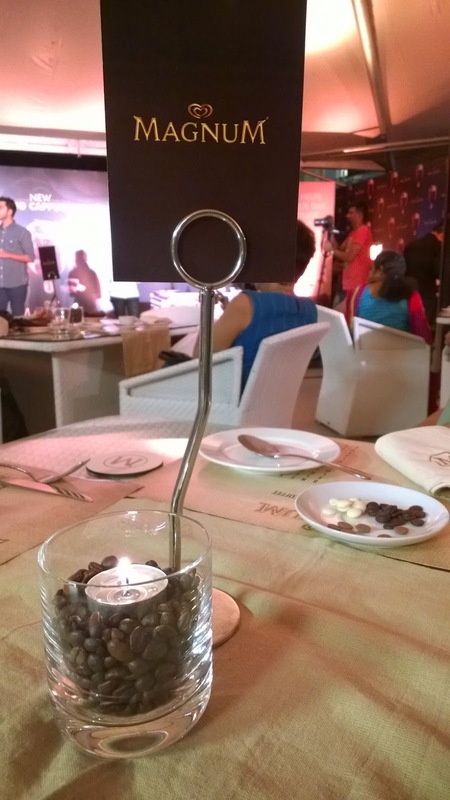 Among all the mixes, I loved the chocolate chilli the most. 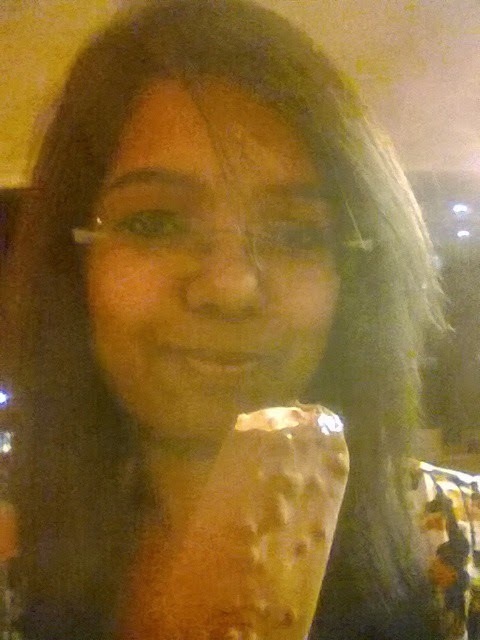 The taste of chocolate on my tongue with a choky chilli flavor on my throat made me crave for it more. A mix with cinnamon was also made. 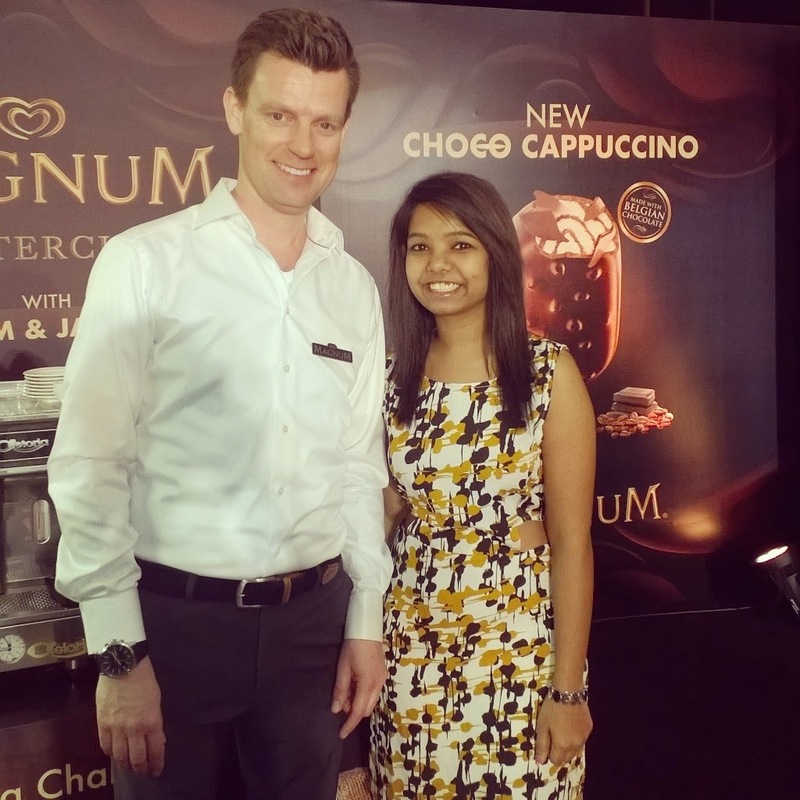 World Barista Champion Fritz Storm spoke about coffee and he prepared Expresso Champagne which I tasted. 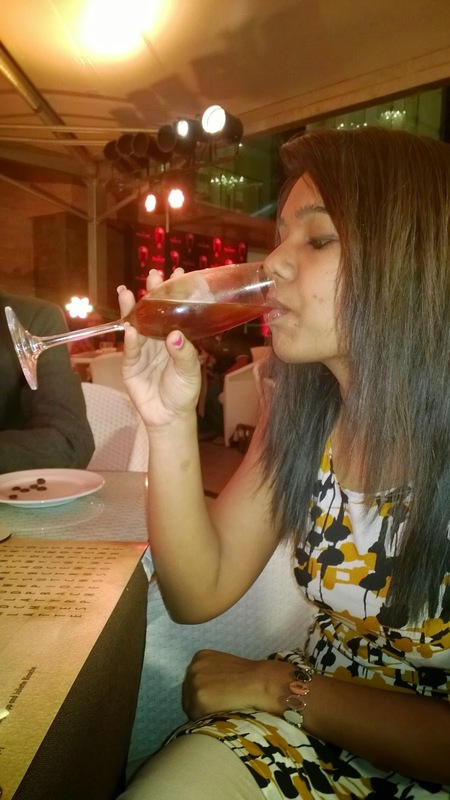 The expresso champagne was refreshing and bitter. Then Janice and Fritz paired up to make something together and it looked sinful. 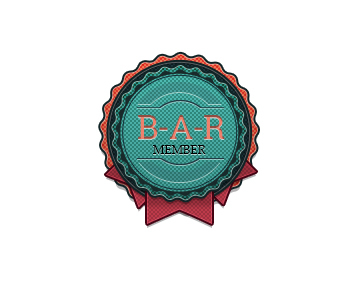 Those that got the pleasure to had it were very lucky. 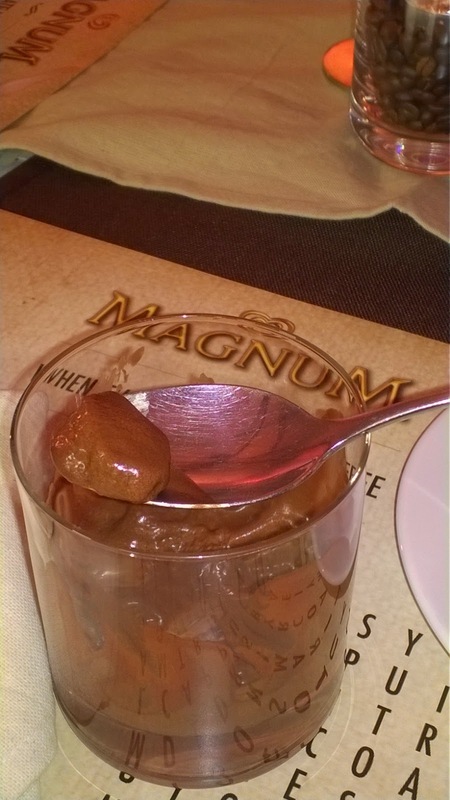 It was a Choco Martini. 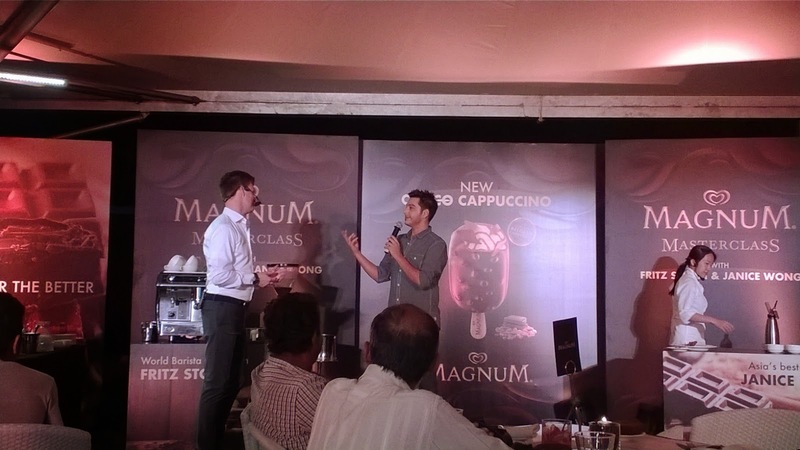 The time was here for which the crowd was present, Magnum's new flavor was presented to all. 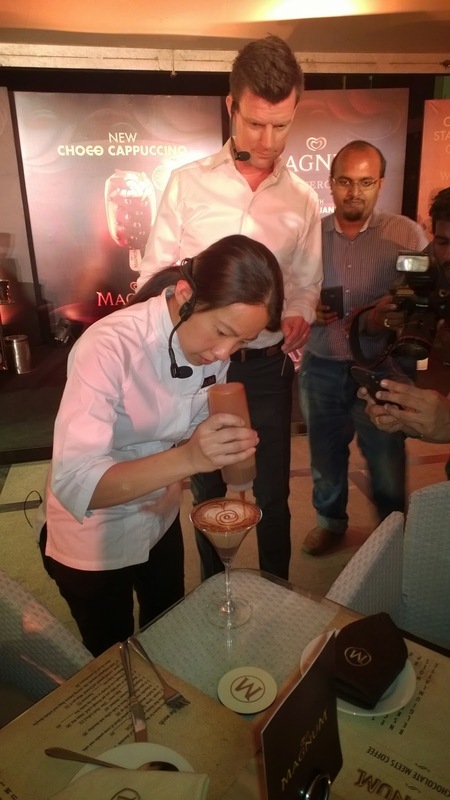 The entire crowd tasted the the new flavor at once and we were one of the lucky one's to taste it before the country did. 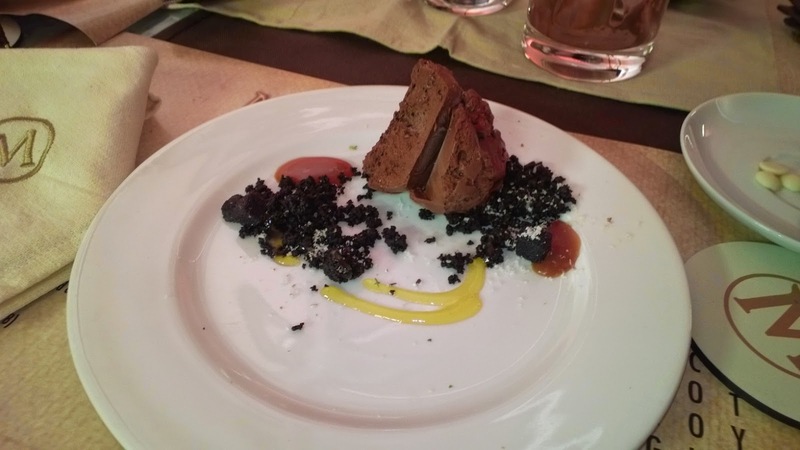 The crackling sound of the Belgium chocolate with a crunchy bite of coffee bean along with creamy vanilla ice-cream with coffee syrup was the perfect time of the evening. 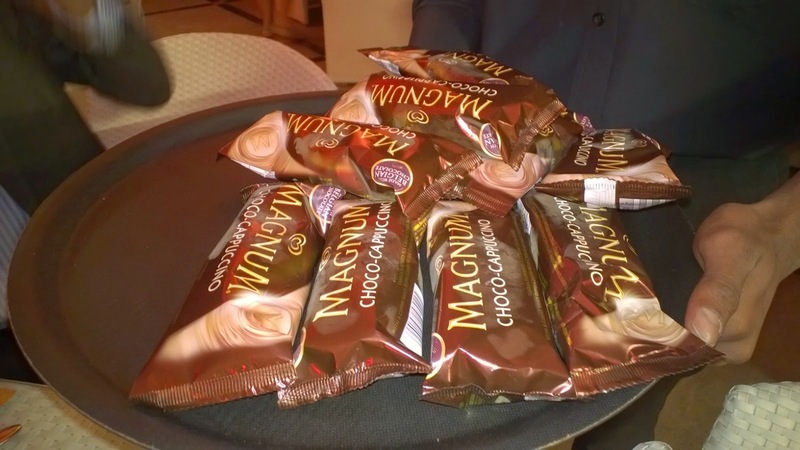 Everyone present at the venue were busy eating the ice-cream and moaning 'Hmmmm' with every bite. 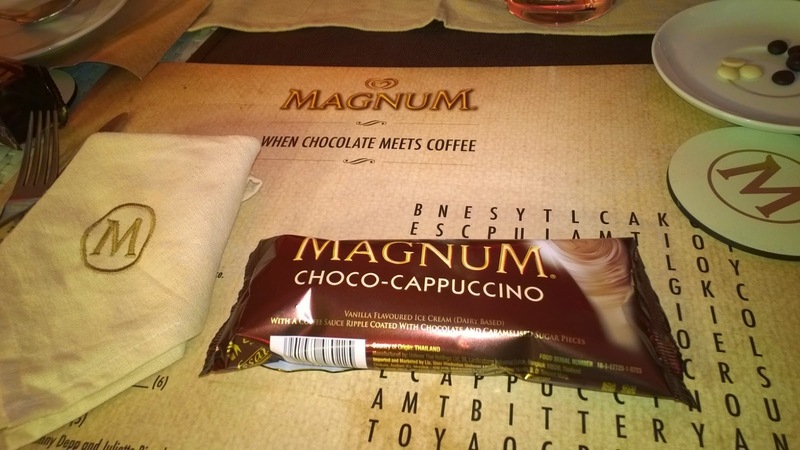 A cool ice-cream on a windy evening was the best treat given by Magnum. 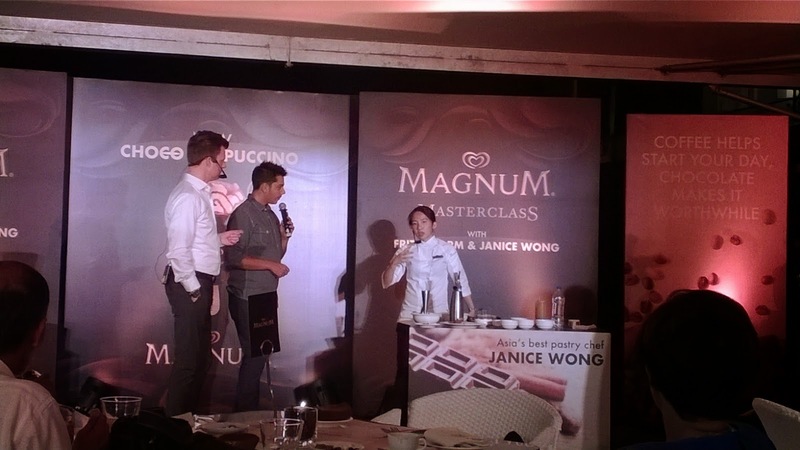 A conversation with Janice and Fritz got me to know more about them and the flavor. 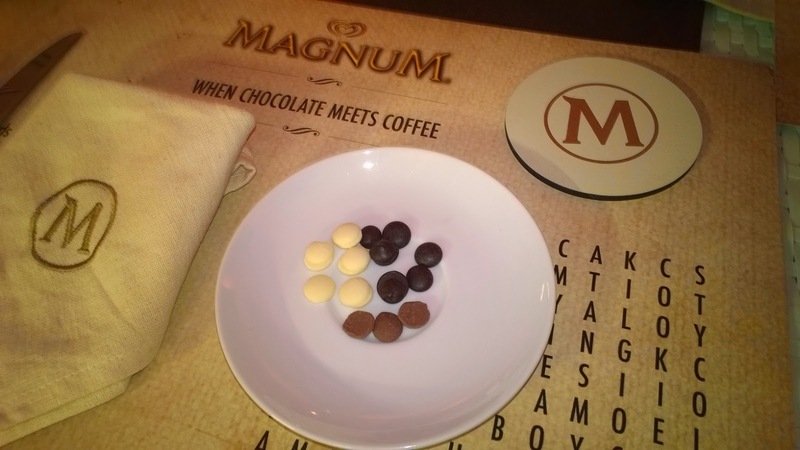 The new flavour is available from March 1st, 2015 throughout the country.